CLYDE striker Andy Smith admits he almost quit the club, but is delighted he stuck it out to form a fruitful partnership with Ian Harty. He said: "I was probably three or four days from leaving because I wasn't playing and I didn't have any complaints because the boys were doing well. "However, Pat Keogh got injured and since then things have went well for me. Even against Ross County I only had the one chance, but my game is also about working away. So things are going well and long may it continue." Smith was a surprise arrival from Raith Rovers during the summer but had only made one start before a strange pre-game warm-up on November 22. Stephen McConalogue and Pat Keogh both got injured, allowing Harty to climb off the bench and Smith to leave his seat in the stand to start up front together. Queen of the South were dispatched 3-1 with both scoring and since then have enjoyed a fruitful partnership. Smith said: "I think myself and Ian Harty are playing well together. "We came into the team at the right time and the side has now gone ten games unbeaten. We need to keep playing well, though, as there are other guys waiting to come in and take our place. "We don't have a big squad but we have a good squad so if the manager can keep everyone injury free until the end of the season then I think we have a great chance of winning the league." Smith now faces the strange proposition of facing two of his old clubs within three days of each other. On Saturday Clyde travel to Starks Park to take on relegation haunted Raith Rovers. 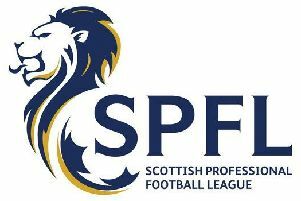 Then on Tuesday, the Bully Wee entertain Dunfermline in their rearranged Scottish Cup Fourth Round tie, with the winners set for a trip to Firhill. Smith said: "I think Raith are going through a transformation period, bringing in a lot of players which doesn't help you build a steady team week in week out. "We have struggled against them twice. We were fortunate to beat them in Kirkcaldy and drew 0-0 with them at Broadwood and I expect it will be a hard game next week. "The Dunfermline game will take care of itself and be a nice break from the league but we will need to do better than we did in the last game. Although the conditions were hard we perhaps let ourselves down."